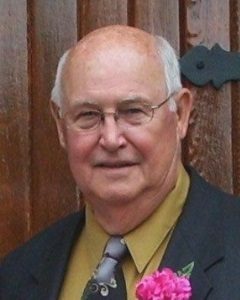 Wayne E. Schellenberg, age 83, of Hector, Minnesota, passed away Monday, February 4, 2019, at Lakeview Ranch in Darwin, Minnesota. Gathering of family and friends has been RESCHEDULED to Thursday, February 14, 2019, from 5:00-7:00 P.M. at the Hughes-Hantge Funeral Chapel in Hector. Interment will be held on Friday February 15, 2019 at 1:00 P.M. at Fort Snelling National Cemetery in Minneapolis, Minnesota. Memorials preferred to Disabled American Veterans (D.A.V.) 843 40th Ave NE, Columbia Heights, MN 55421, in honor of Wayne. Wayne Everett Schellenberg was born June 1, 1935 in Slayton, Minnesota. He was baptized into the Lutheran faith. On August 28, 1953, Wayne entered active duty in the United States Marine Corps and proudly served his country during the Korean War. During this time, he also earned his GED. He received his Honorable Discharge on August 27, 1956, having attained the rank of Corporal. Wayne continued his education at Dunwoody Institute and the University of Minnesota earning his degrees in Print Media. On August 24, 1957, Wayne was united in marriage to Diane Schmeckpeper at St. Matthew’s Lutheran Church in St. Paul. They made their home in the metro area and were blessed with two children, Michael and Julie. Wayne was employed through the years with Post Publications as a composer and printer, and retired in 1983. In 2002, Wayne and Diane moved to Brookfield Township to be near their son, Mike. He and Diane were blessed with 57 years of marriage when Diane passed away on March 9, 2015. Wayne was an avid outdoorsman. He enjoyed hunting and fishing, and liked working in their garden. Woodworking was one of Wayne’s favorite hobbies. After moving to Hector, Wayne attended Trinity Lutheran Church in Brookfield Township, rural Hector. He was a member of the American Legion. Early Monday morning, February 4, 2019, Wayne passed away at Lakeview Ranch near Darwin, having reached the age of 83 years, 8 months, 3 days. Blessed be his memory. Wayne was preceded in death by his wife, Diane Schellenberg, and by her parents, Ernie and Del Schmeckpeper. at the birthday parties…Keeping you in our prayers. I am a respected researcher of Mennonite genealogy, and would like to connect your loved one to his/your family and ancestry, which I am unable to do given the limited information in his obituary. My on-line project contains over 475,000 individuals, including more than 3,000 Schellenbergs (which was my birth name BTW). Please contact me at an appropriate time if you are willing to share/exchange details. Thank you. All information about living individuals is suppressed to protect your/their privacy. your dad at get togethers at your house. He is now free of paining and suffering. Again our condolences to you. So sorry to hear about your loss. I am happy we got to know your parents, Mike.